Lifestream Essential Greens+ is the ultimate product to give you balanced nutrition. It contains a blend of herbs and nutrients which improve and support the functions of your vital organs and key body systems. Essential Greens+ is good for the liver, the digestive system, the cardiovascular and nervous systems, as well as for the immune system. Essential Greens+ is also a rich source of anti-oxidants. 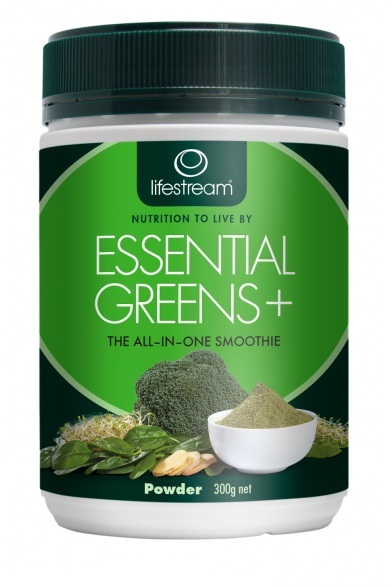 Lifestream Essential Greens+ comprises a balanced and carefully formulated selection of ingredients in appropriate quantities. Green superfoods like young cereal grasses, chlorella, alfalfa, spinach and broccoli make this product nutrient dense. Lifestream Essential Greens+ boosts your immunity with the help of ingredients like elderberry, olive leaf, acerola, rose hips and reishi mushroom. Green tea, cranberry, blackcurrant and bilberry are potent anti-oxidants present in the product. 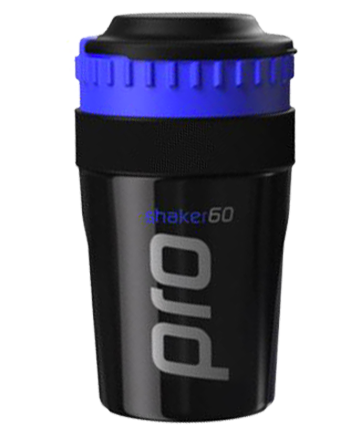 Pea protein and rice protein augments your protein intake, while gotu kola, grape seed extract, horse chestnut, ginkgo and ginger improve your blood circulation and vein health. Milk thistle, dandelion root and burdock root detoxify your system and improve the function of your liver, whereas withania and hops provide stress relief. Lifestream Essential Greens+ improves your digestive process through the combined action of flax seed meal, apple powder, inulin, L.acidophilus, B.bifidum, slippery elm, marshmallow, fennel and bromelain. Essential Greens+ is also rich in elemental calcium, chromium, selenium, magnesium and zinc. Adults and children over 12 years of age – Consume 10g (2 teaspoons) a day, mixed with 200ml (6.7oz) of water or juice. Other ingredients: Stevia, natural berry, lemon & banana flavours, citric acid.